Ibn Battuta is regarded by many to be one of the greatest travellers and explorers the world has ever seen. In fact, he was able to travel over 75,000 miles, in twenty years and through some 44 nations (as defines by modern day borders). 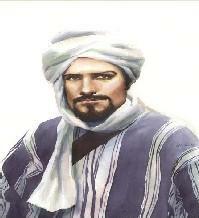 This short article, describes Ibn Battuta's insightful travels in Egypt and Mali. Figure. Ibn Battuta as imagined by a present day artist. Muslim Heritage Consulting © www.muslimheritageconsulting. `I left Tangiers, my birth place on Thursday 2 Redjeb, 725 (H) with the intention of going on pilgrimage to Mecca. I was alone, without companions, not in a caravan, but I was stirred by a powerful urge to reach my goal [i.e. Mecca]… I left my friends and my home, just as a bird leaves its parental nest. My father and mother were still alive, and with great pain, I parted with them. For me as for them, it was [a] cause of insufferable illness. I was then only twenty two'. `The life I lead is one of the most agreeable. I was always part of the processions around the Kaaba, in the service of God, and in the closeness of the Holy sites'. The serene spirit and atmosphere must have certainly contributed to his recovery from the illness he had previously suffered'. `That night, while I was sleeping on the roof of the cell, I dreamt that I was on the wing of a great bird which was flying with me towards Mecca, then to Yemen, then eastwards, and thereafter going towards the south, then flying far eastwards, and finally landing in a dark and green country, where it left me. I was astonished at this dream and said to myself "If the Shaykh can interpret my dream for me, he is all that they say he is". The next morning, after all the other visitors had gone, he called me and when I had related [to him] my dream, he interpreted it to me saying: "You will make the pilgrimage [to Mecca] and visit [the tomb of] the Prophet, and you will travel through Yemen, Iraq, the country of the Turks, and India. You will stay there for a long time and meet there my brother Dilshád, the Indian, who will rescue you from a danger into which you will fall". Then he gave me travelling provisions of small cakes and money, and I bade him farewell and departed. Never since parting from him have I met on my journeys aught but good fortune, and his blessings have stood me in good stead. 'We rode from here to Damietta through a number of towns, in each of which we visited the principal men of religion. Damietta lies on the bank of the Nile, and the people in the houses next to the river draw water from it in buckets. Many of the houses have steps leading down to the river. Their sheep and goats are allowed to pasture at liberty day and night. For this reason the saying goes of Damietta [that] "Its walls are sweetmeats and its dogs are sheep". Anyone who enters the city may not afterwards leave it except by the governor's seal. Persons of repute have a seal stamped on a piece of paper so that they may show it to the gatekeepers; other persons have the seal stamped on their forearms. In this city there are many seabirds with extremely greasy flesh, and the milk of its buffaloes is unequalled for sweetness and pleasant taste. The [city's] fish, named buri is exported thence to Syria, Anatolia, and Cairo. The present town is of recent construction; the old city was that destroyed by the Franks in the time of al-Malik as-Sálih (during the Fifth Crusade). 'From Damietta I travelled to Fáriskur, which is a town on the bank of the Nile, and halted outside it. There I was overtaken by a horseman who had been sent after me by the governor of Damietta. He handed me a number of coins, saying to me, "The Governor asked for you, and on being informed about you, he sent you this gift" may God reward him! 'Thence I travelled to Ashmün, a large and ancient town on a canal derived from the Nile. It possesses a wooden bridge, at which all vessels anchor, and in the afternoon the baulks are lifted and the vessels pass up and down. From here I went to Samannud, whence I journeyed upstream to Cairo, between a continuous succession of towns and villages. The traveller on the Nile need take no provision with him because whenever he desires to descend on the bank he may do so for ablutions, prayers, provisioning, or any other purpose. There is an uninterrupted chain of bazaars from Alexandria to Cairo, and from Cairo to Aswan in Upper Egypt. 'I arrived at length in Cairo, mother of cities and seat of Pharaoh the tyrant, mistress of broad regions and fruitful lands, boundless in multitude of buildings, peerless in beauty and splendour, the meeting-place of comer and goer, the halting place of feeble and mighty, whose throngs surge as the waves of the sea, and can scarce be contained in her for all her size and capacity. It is said that in Cairo there are twelve thousand water carriers who transport water on camels, and thirty thousand hirers of mules and donkeys, and that on the Nile there are thirty-six thousand boats belonging to the Sultan and his subjects, which sail upstream to Upper Egypt and downstream to Alexandria and Damietta, laden with goods and profitable merchandise of all kinds. On the bank of the Nile opposite Old Cairo is the place known as The Garden. This place is a pleasure park and promenade containing many beautiful gardens, for the people of Cairo are given to pleasure and amusements. I witnessed a fete once in Cairo for the Sultan's recovery from a fractured hand; all the merchants decorated their bazaars and had rich stuffs, ornaments and silken fabrics hanging in their shops for several days. The mosque of 'Amr is highly venerated and widely celebrated. The Friday service is held in it, and a road runs through it from east to west. The madrasas [college mosques] of Cairo cannot be counted for multitude. As for the Máristán [hospital], which lies between the two castles near the mausoleum of Sultan Qalá'un, no description is adequate to its beauties. It contains an impeccable quantity of appliances and medicaments; and its daily revenue is put as high as [a] thousand dinars'. 'The Negroes possess some admirable qualities. They are seldom unjust, and have greater abhorrence of injustice than any other people. Their Sultan shows no mercy to anyone who is guilty of the least act of it. There is complete security in their country. Neither traveller nor inhabitant has anything to fear from robbers or men of violence. 'They are careful to observe the hours of prayer, and assiduous in attending them in congregations, and in bringing up their children to them. On Fridays, if a man does not go early to the mosque, he cannot find a corner to pray in, on account of the crowd. It is a custom of theirs for each man to send his boy [to the mosque] with his prayer-mat; the boy spreads it out for his master in a place befitting him [and remains on it] until he comes to the mosque. Their prayer-mats are made of the leaves of a tree resembling a date-palm, but without fruit. 'Another of their good qualities is their habit of wearing clean white garments on Fridays. Even if a man has nothing but an old worn shirt, he washes it and cleans it, and wears it to the Friday service. Yet another is their zeal for learning the Qur'an by heart. They put their children in chains if they show any backwardness in memorizing it, and they are not set free until they have it by heart. I visited the Qadi in his house on the day of the festival. His children were chained up, so I said to him "Will you not let them loose?" He replied "I shall not do so until they learn the Qur'an by heart". 'Among their bad qualities are the following. The women servants, slave-girls, and young girls go about in front of everyone naked, without a stitch of clothing on them. Then there is their custom of putting dust and ashes on their heads, as a mark of respect, and the grotesque ceremonies we have described when the poets recite their verses. Another reprehensible practice among many of them is the eating of carrion, dogs, and asses. 'The date of my arrival at Mali was 14th Jumada 753 (28th June 1352) and of my departure from it 22nd Muharram of the year 54 (27th February 1353). I was accompanied by a merchant called Abü Bakr ibn Ya'qub. We took the Mima road. I had a camel which I was riding, because horses are expensive, and cost a hundred mitqals each. We came to a wide channel which flows out of the Nile and can only be crossed in boats. The place is infested with mosquitoes, and no one can pass that way except by night. We reached the channel three or four hours after nightfall on a moonlit night. On reaching it I saw sixteen beasts with enormous bodies, and marvelled at them, taking them to be elephants, of which there are many in that country. Afterwards I saw that they had gone into the river, so I said to Abü Bakr "What kind of animals are these?" He replied "They are hippopotami which have come out to pasture ashore." They are bulkier than horses, have manes and tails, and their heads are like horses' heads, but their feet like elephants' feet. I saw these hippopotami again when we sailed down the Niger from Tumbuktü to Gawgaw. They were swimming in the water, and lifting their heads and blowing. The men in the boat were afraid of them and kept close to the bank in case the hippopotami should sink them.